Presenting the Isabella peach skin tone coloured waist training corset designed to fit in with your life. It is light, strong and has been designed to be invisible under clothes. It can be worn as much as you want with compromising your look or your waist training regime. The rigid mesh cloth used on this corset is much stronger than the wider mesh used on other corsets, within the Playgirl range. This cloth works much better with the waist tape and 24 steel bones when waist training. Air is free to circulate around the body courtesy of the mesh, keeping the wearer cool and comfortable. The laces at the back can be tucked back under the themselves or cut down to size to make sure nothing is visible under clothing. 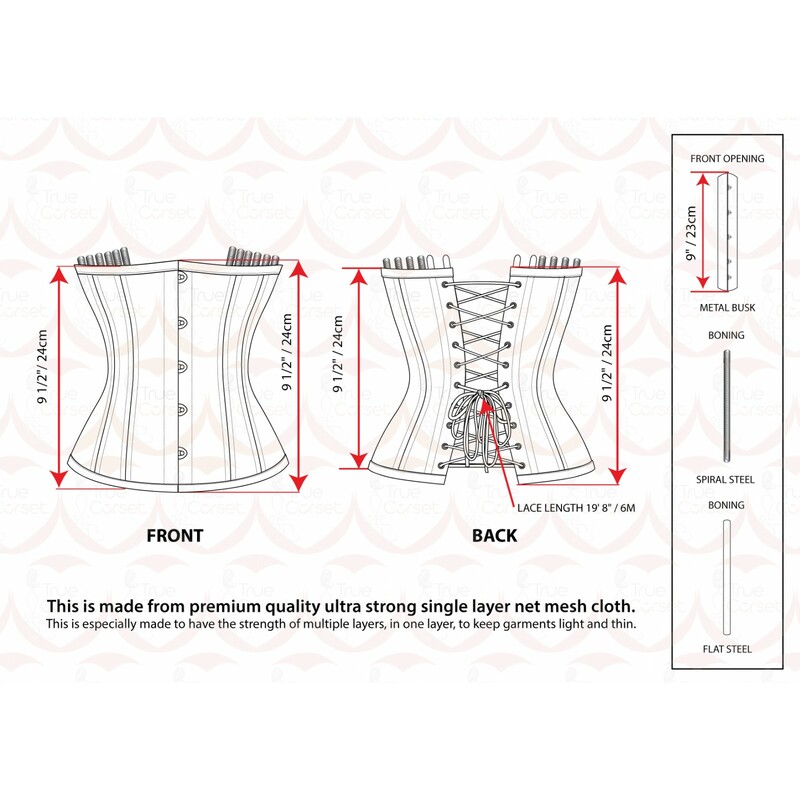 This underbust corset cincher can also be worn over clothing as you would a belt, or can be made the centre of your outift as a cincher. Whichever way you decide to wear it, this light use corset will give you a comfortable hourglass figure invisibly or as the centre piece for your outfit.